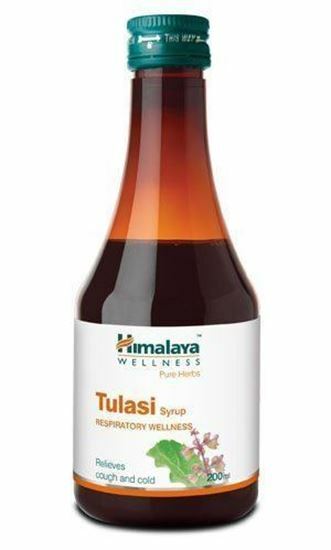 Himalaya Tulasi syrup is an ayurvedic cough syrup that contains Tulasi. Tulasi is a plant that is a natural antimicrobial agent. Tulasi cough syrup is prescribed as a stop cough suppressant and clear up the airways. It works by allowing mucus to move around the nasal passage while the immune system is strengthened. People who have diabetes or high blood pressure should consult with their doctors about whether or not this is suitable for their needs. Adults can consume 10mL of Tulasi Syrup twice a day; this is about two teaspoons full. Children should take half as much twice a day for maximum results.